Upon arrival, I am greeted with a huge brick wall that says, “Keep Portland Weird”. I sort of knew what I was getting into when I read Keep Portland Weird: 5 Crazy things to do in Portland, Oregon. 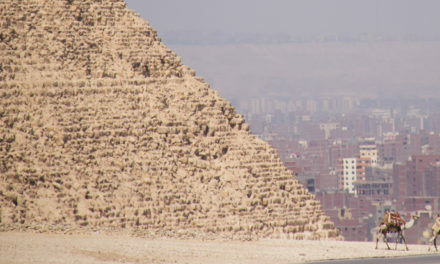 But seriously—whatever happened to arriving in a city and having a Top 10 sights to see? Am I that old fashioned that when I visit a city, I want to see the sights that it’s known for, not the crazies that inhabit it? First stop, Voodoo doughnuts. My marketing gears started immediately spinning – I could make this place millions! The line/wait is ridiculous – and it’s only because the folks running the joint are going at a snail’s pace – ah, perhaps this is the New Yorker in me coming out. Slow down, smell the flowers and enjoy life, isn’t that their motto? Reducing the wait time in half could bring this place millions of additional dollars each year! In all my NY haste, I think Voodoo does as well as it does because it’s in OR, perhaps the NYers like me need to sip the Stumptown Coffee and take a chill pill. Welcome to the Portland Saturday Market. 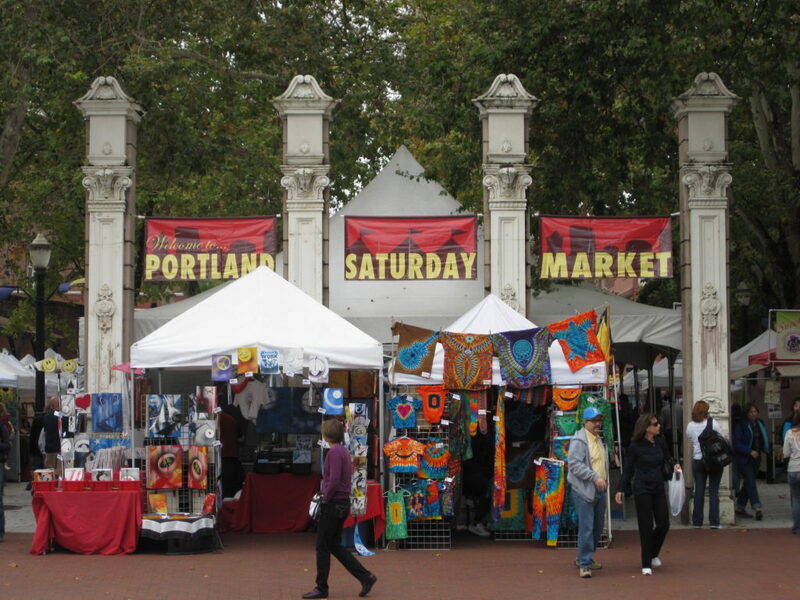 So, what next, perhaps a jaunt through the Portland Saturday Market? It was tons of fun – I smelt everything from hippies burning incense, to two dudes rubbing Cajun spices all over their chicken. Have I mentioned how nice everyone is? I don’t think I’ve ever experienced a city with nicer dwellers. I mean don’t get me wrong – they’re crazy, but the non-crazies are super nice too. From there, I headed over to see what the Chinese gardens were like. I wasn’t feeling so zen. The gift shop had a window that peered into the gardens, so I took a brief look; so not for me today. What should I do? I did what every stereotypical gay man in his 30’s does – I went shopping! The North Face, Under U 4men, Nordstrom and of course the ever popular Powell’s Books. I mean seriously, an independent bookstore that’s a whole city block! I was lost in there for well over an hour and I loved every minute. Why can’t Powell’s take over Barnes and Noble? 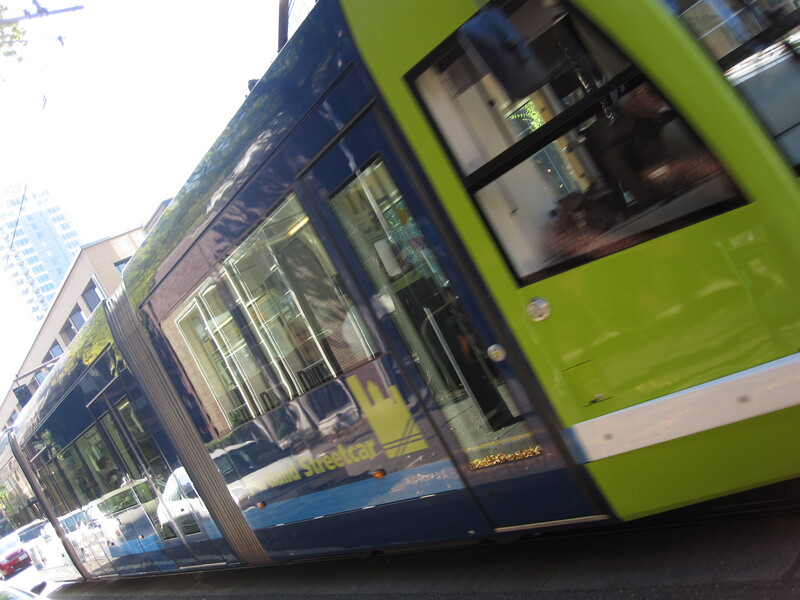 My sweet ride in Portland– the MAX Light Rail. A friend of mine who is native to Portland told me to take the MAX from one end to the other. I did and it was grand, best free ride ever! I got to see a snapshot of the city and on the way back I stopped off at Portland State University to watch students playing Valhalla, which is Medieval Combat. Yikes! I also saw another Saturday Market on campus with fresh flowers of every color, all sorts of vegetables including a basket of Brussels sprouts still on the stalk, and more. As I walked through the market taking pictures of everything, I realized that the photos did not do the produce justice; how could I describe in my recap all the wonderful smells and the visual stimulation this Market brought? I can only say the Brussels sprouts smelt so amazing that I wanted to begin cooking right then and there. I love Wegmans produce, but there is something about farm fresh items in a farmers market – the colors, the smell, the feel – it beats a grocery store any day. I had dinner at Clyde Common. Only after putting down two barrel-aged Negronis: Beefeater gin, Cinzano Rosso Vermouth, and Campari, aged for 2 months in a Tuthilltown bourbon whiskey barrel and finished with an orange peel, did I decide it was time to eat. For my meal, I opted for the tagliatelle, cauliflower, lemon and breadcrumbs with a plate of Tumalo Farm’s Pondhopper (goat milk) cheese with preserved figs, honey and walnut bread. Which brings me to another point – one can always plan a budget conscious vacation getaway, but don’t cheap out on food; you need to visit the local posh restaurants. And downtown Portland did not disappoint! Sunday, up and at em’! After a big breakfast at the hotel, I made my way to Avis Rental Car and drove away in a light blue Nissan Versa. First stop – Multnomah Falls. I walked up to the main bridge and then hiked to the top for an amazing view. From there, I drove to Horsetail Falls, another hike and two spectacular views as the falls actually split in two different sections. The peaceful sound of falling water calmed me for hours. Hood River was the next destination, with a stop at Full Sail Brewery, complete with a tour from Randy, my tour guide. The best part about the tour is, at the end you turn in your wooden nickel and get a pint glass – they must know folks have sticky fingers. Full Sail became an independent, employee-owned company in 1999, divvying up the company between 47 people, hence the 47 on their logo. Clearly when one does not work for “the man” and works for himself, he is so much more passionate about his job and it showed. 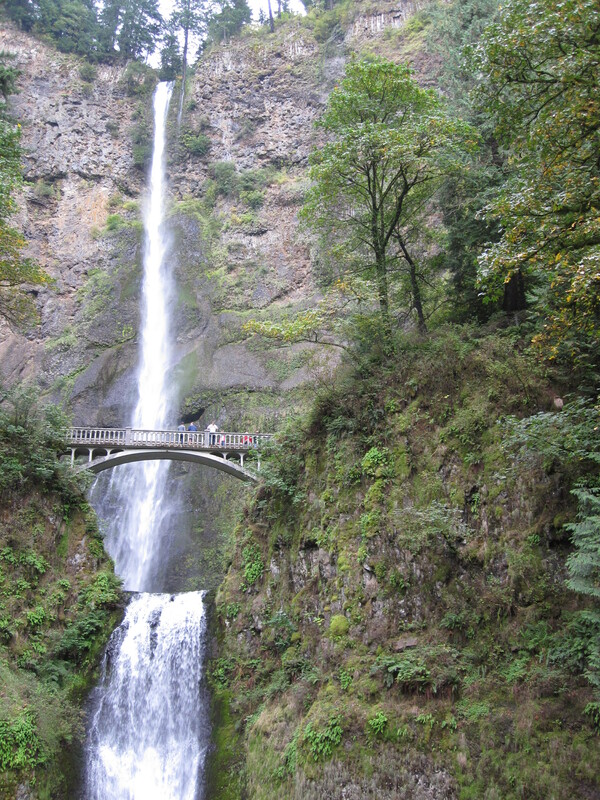 The beautiful Multnomah Falls just 30 minutes outside Portland. I ate lunch in the pub there – an amazing fish sandwich with spicy tartar sauce, a side salad with house vinaigrette and two Sessions – the beer was great, so smooth and not at all hoppy. Once I left Full Sail, I was feeling a little tipsy, so I thought best to walk to the local bistro and grab a cappuccino, this time with whole milk. Sitting outside and sipping cappuccino in the mountain air of Oregon is like no other – and this provided me ample time to write postcards. After an hour, I was off to Mt. Hood with the loop around and a pit stop in Gov’t camp. 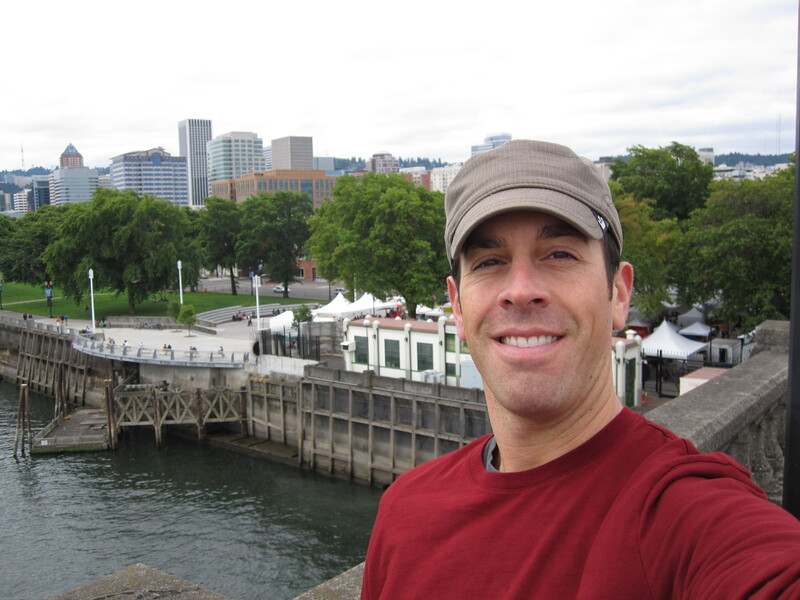 The author on the bridge looking at the Waterfront and Portland Saturday Market. 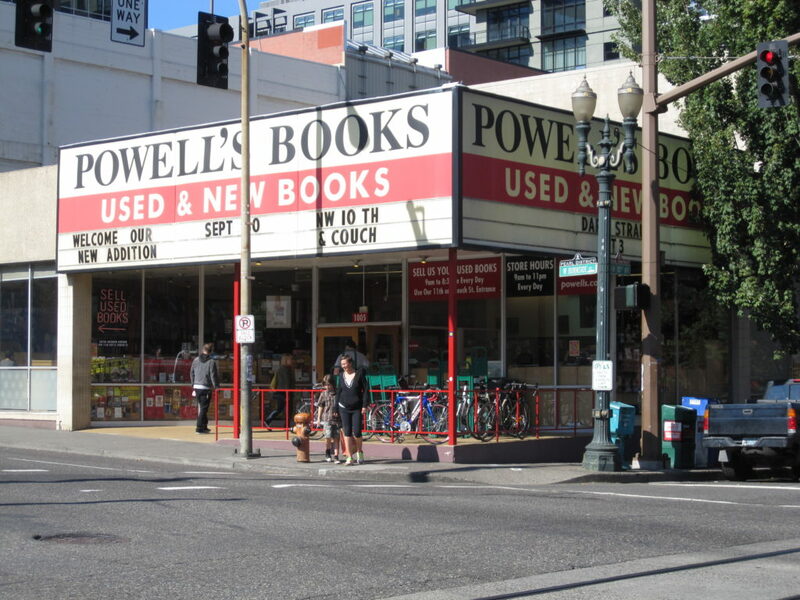 Once I was back in Portland proper, I was off to buy a book at Powell’s to show my support to the locals. Dinner that night was at ¿Por Que No?, complete with a chorizo taco, an Alaskan fish taco, ½ order of chips with guacamole, and one Tecate – just like the locals. Monday morning, it was back to work. Oh how I miss my days of vacation! 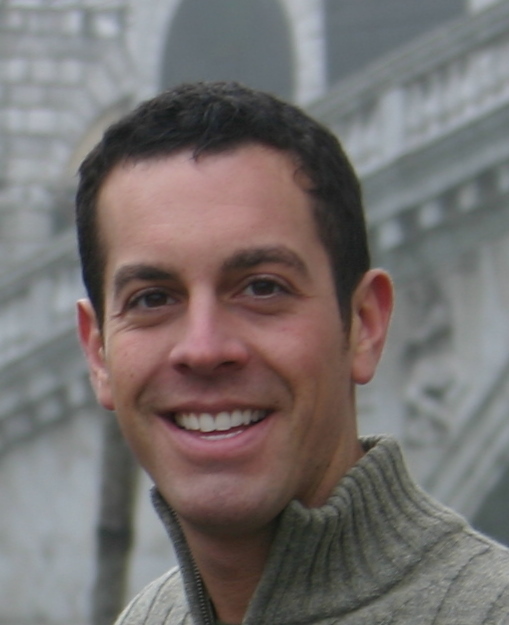 Michael Bugno is employed as a Marketing Events Manager in New York City, commuting three days a week from his home in Philadelphia (not the kind of traveling he likes to do). Fortunately he has the opportunity to travel in the US and abroad with work and for pleasure visiting friends, revisiting fabulous past favorite destinations or exploring places totally new. Thanks! You would love it there and I know you would love the Voodoo Doughnuts! Article makes me want to head to Portland the next chance I get! Written perfectly for the traveler who wants to act like a local (some of the time). You would love the PacNW, you need to get there and there is no better time than the Fall! @Michael I agree. Good food is definitely something worth spending money on when traveling. I always say, I’d rather sleep on a park bench and eat good food. Good read! Always wanted to go to the Pacific Northwest and it’s nice to be able to read about food, drink and weird, three things I’m into. Nice photos too. I can’t believe you squeezed in that much of Portland in such a short amount of time! Looks like the weather was very accomodating too. In addition to Full Sail, there are lots of micro breweries and wineries, each with their own unique specialities. Glenn, You know I am going to try and plan another trip back in Fall 2011, so I’ll be sure to hit you up and see what ones are your favorites! See you soon! I’ve always wanted to check out Portland and this article REALLY makes me curious…. plus, those donuts look amazing!! Great article, good tips on places to check out, good job! Phrenchie – Thanks for the post. We must make a trip out west! If anyone knows how to snake his way through a city, it’s Mike Bugno. It must be a Bugno thing–it’s in their blood. Mike makes Portland, a city that typically gets berated for it’s extended rainy season (nearly 40 inches a year), a must-see place before one exits this planet. While I’ve never personally visited the city, the lure of the doughnuts and the Cappuccino–with whole milk, as though there was any other way to prepare that beverage–not to mention the Powell’s Books, it’s definitely a place that I would give a second thought to now. Thanks for review. With all of his travels, he’s a reliable source. I say buy a plane ticket for Portland and follow in Bugno’s tracks! He knows his cities. Still, I suggest that if you DO plan to visit Portland, you might want to bring an umbrella AND an appetite! Michael- WOW! You are the best person to go on trips with. When I went to Portland, I saw nothing and was ready to go home after being there for (only) five minutes. 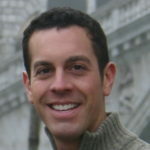 Thanks for sharing your commentary and giving us a “new yorker/east coast” perspective. So good! What a fantastic article Michael – It was great to experience Portland through your eyes, and now I’m starving!!! I loved the “waterfalls, hops and barley” section too….you really took in so much of the city in such a short amount of time. Double wammy…Good looks AND efficient traveler! Let me know the next time you plan a trip so that I can tag along! Thanks Tarina! Next city to conquer is San Fran – we’ll eat our way up the coast to Boom Noodle. Deal? So many things I didn’t know about Portland, Oregon. Seems like a perfect guide to the city! The first photo is somehow disturbing but makes me curious how they taste like..
Don’t be disturbed, I can tell you that they ALL taste amazing. Doughnuts are breakfast food and they’ve just added cereal toppings. YUM! Ah Colleen, you know food is my kryptonite! I think I need to post a report on Orlando, FL so I can talk about Sweet Tea and the Orlando Ale House’s BIG RED! Now those were the days, where has the time gone? HI, I was recently traveling in Portland and also came across voodoo donuts via google maps..it sounded interesting. Did you notice the large casket of donuts you could buy? Wow! it was freaky. Also we did not get to choose the lovely assortment of ten donuts. That chocolate one with the peanut butter drizzle looks good! 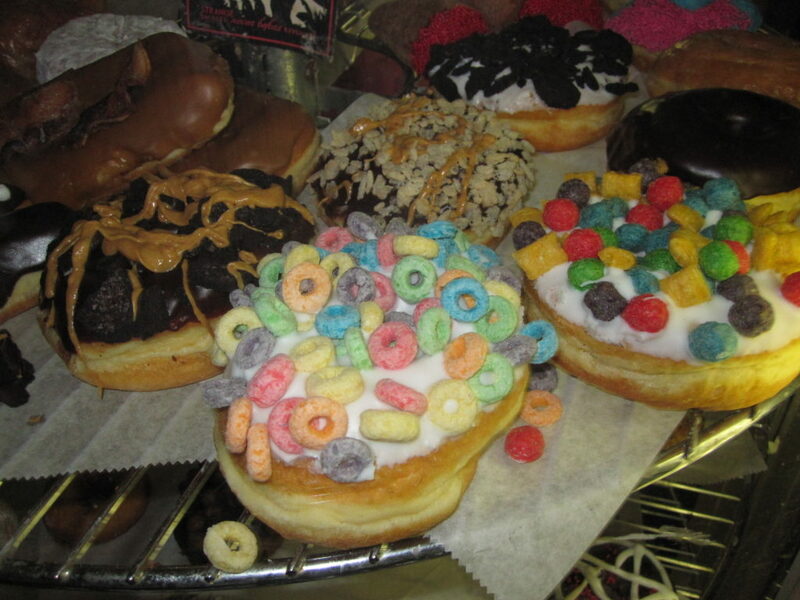 I don’t know that I’ve ever seen a donut with fruit loops on it before or cereal for that matter bf this! Portland is cool! Wanted to mention I stayed at some pretty neat guesthouses there–one called bluebird guesthouse in SE Portland– a little pricey but..a vintage style– rooms were named after authors. for example Ken Kesey. There are also some other interesting spots to stay at including a converted school house. You love Wegman’s? I am from Upstate new york originally where they are found. Where do you find a Wegmans near you? just curious. Also loved visiting the home of Stumptown coffee in Portland, which is served at so many cool coffee shops in nyc. Did you happen to make it to Bipartisan cafe near Mt. Tabor? amazing rhubarb pie. I immediately saw a difference in food quality in Oregon, it felt so homegrown compared with what you can access readily in nyc and even ny state. Thanks for your article! Sorry for the delay. I grew up near Scranton, PA – so there was a Wegman’s there. There is also one in Cherry Hill, NJ that I frequent since I now live in Philly. I did not make it to Bipartisan Cafe – perhaps the next trip, I will go back, I know that for sure! Loved everything about Voodoo, casket and all – ha. Wegman’s goes down the east coast. I have been to one in Scranton, PA – Cherry Hill, NJ and Fredericksburg, WA. There are many others too. The ruhbarb pie sounds like it’s “to die for”. What an amazing trip!!! What a gorgeous city! I always wondered why Philadelphians weren’t friendlier?! Hmm maybe it’s because they have VooDoo Doughnuts and we are left with Dunkin’. HAha! You’re so funny DAT! Thanks for the post! Let’s plan a trip soon! 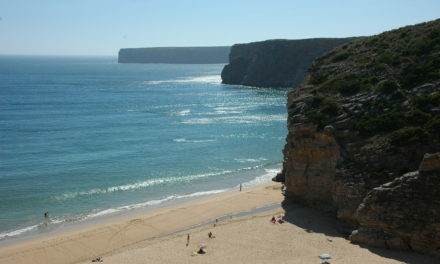 You would love it there!! From someone who lived in Portland 12 years, I love the fall but May is GORGEOUS! What a riot of blooms when the rhodies go full force. And though you went to Multnomah Falls, which of course is impressive, I prefer taking the Scenic Highway and seeing some of the other falls like Latourel and Horsetail. There is a ton of things to do while in Portland, in any season. Yeah, some years are rainier than others. But the foodie culture is amazing. I couldn’t agree more, I loved every minute in your city! I did see Horsetail and would have seen more, but time was limited, I packed A LOT in a few days. The falls and other sights I saw were the “recommended” highlights from the locals! Cheers! Fantastic article! You had me at the donuts!! I’m thinking Boston needs to be next on your places to visit list! Tell me about it! You would have LOVED every bite BFF. Wow! Who would have thought the other side of the US was that beautiful! Thanks for pointing out the food sites, as well as just the everyday interesting – I wouldn’t call them wierd! It’s about seeing the real thing! – that’s what I am talking about! Glad you enjoyed Lisa! Hope to see you soon. In regards to “A friend of mine who is native to Portland told me to take the MAX from one end to the other. I did and it was grand, best free ride ever” – just for reference, the MAX is not free anywhere but downtown in the ‘free rail zone’. If you rode it from one side of the city to the other without paying for fare, you were breaking the law. Trimet frequently checks for tickets at random, so I would not suggest readers try this, the tickets are expensive! Great review. I agree with the comment that you are one good organizer. Definitely made me want to go back there and actually see everything I apparently missed! Ha, thanks Billie. I still want to play a biking vacation. Nothing too intense, but that would be the main mode of transportation. Any leads?